I can’t remember a time I didn’t believe in God. That is the opening line of my testimony, the whole thing a rather un-enthralling account of my faith journey so far. Less an epic of encounters with the Divine and more a steady and unfolding discovery of God’s love and the response I’m compelled to in the face of reckless grace. For me the exciting stuff isn’t my story of coming to faith, rather the story I live into because of that faith. It has drawn me to two organisations that are truly transformational, representing the call to be Christ-like. Ballysillan Youth for Christ (aka the Blue Houses), the lighthouse on the hill that offers family, love and hope in a community of extraordinary people, many of whom have lost sight of just how valuable they are. It’s all about relationship, journeying alongside young people and families in the triumphs and in the brokenness. Igniting sparks of the divine in each individual and helping them discover life in all it’s fullness, so vital in a context where suppression sporadically robs people of life’s joy, deceiving them into believing their life is insignificant and best not lived at all. It is a privilege to work in this special place and encounter the divine in each person we work with. YMCA existed long before the Village People. In 1844 twenty-two year old George Williams observed the inequitable conditions of working class young men in London and his faith necessitated he do something about it. On 6th June 1844 the YMCA was birthed and rapidly grew into a global movement, built on values of association, belonging, empowerment, faith, solidarity and social justice. YMCA Ireland is full of spectacular people who intentionally live out those values across our island North and South in their work and volunteering. I’ve had the privilege of chairing YMCA Ireland board for the past year and am humbled by the impact this organisation has. I’m inspired by many leaders within this movement who carry on George Williams’ legacy grounded by a deep and searching faith, most notably Stephen Turner, who I consider a significant mentor and friend. And that is the way of Christ, we follow our rabbis into the world and imitate their example of love to those around us, particularly the overlooked and dispossessed. David Cavan, Peter Thompson, Laura Farrell and Stephen Turner – thank you for being my rabbis. 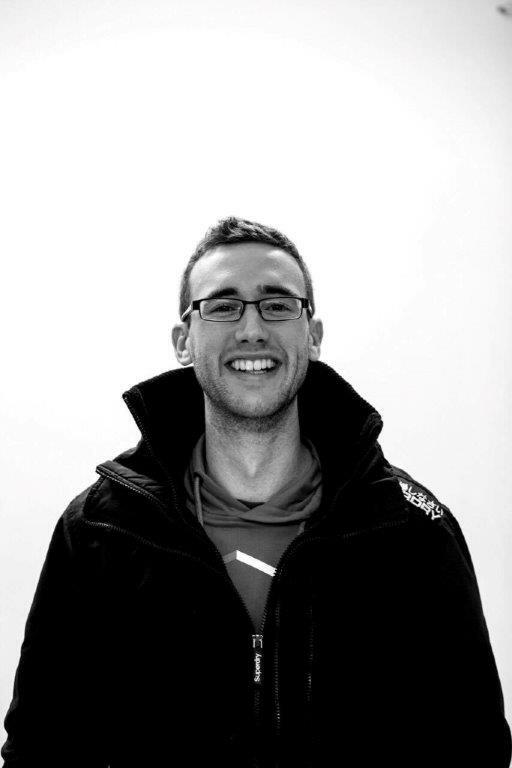 Andy Hamilton: I’m 25, work at Ballysillan Youth for Christ and volunteer with YMCA Ireland. Originally from Bangor, I belonged to Ballyholme Presbyterian Church and now attend Carrickfergus Vineyard. I’m also a recreational hockey player making up the numbers for Bangor 3s and rapidly building up a worrying own goal per match played ratio!